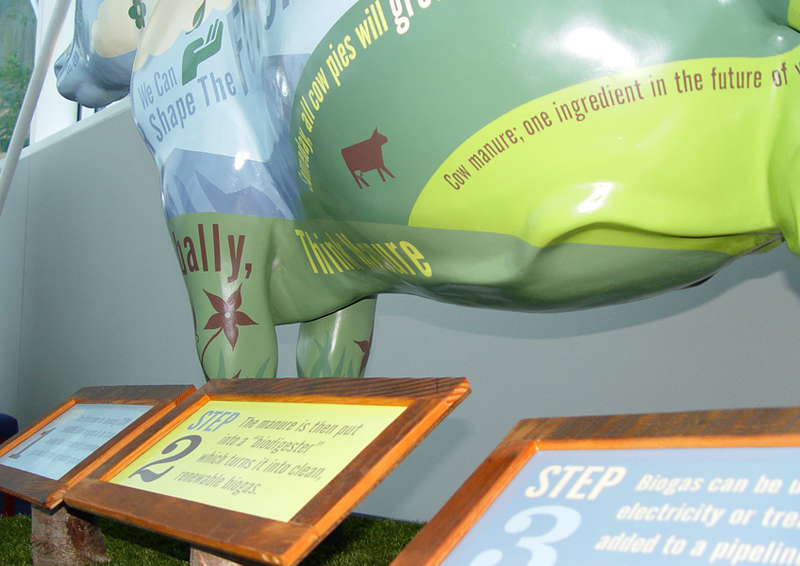 To celebrate the Oregon Convention Center’s commitment to Smart Energy, environmental stewardship, and recent LEED-EB Silver Rating from the United States Green Building Council Magneto was tasked to create an engaging display to promote OCC’s commitment to Smart Energy. 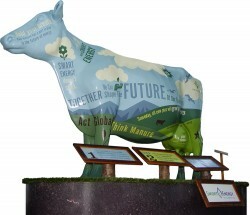 What better answer is there than a cow covered in all the “need to know’s” of the program itself making some Smart Energy right there on site. Needless to say we hit a few snags with having any branded livestock roaming the Convention Center halls and settled for a more traditional and more stationary exhibit done in the likeness of those gentle, mooing energy sources. So we painted a cow. Smart Energy is a carbon offset program developed by NW Natural to support development of renewable energy projects and reduce greenhouse gas emissions. It is an incredible feat to have so many of you sign up for Smart Energy, but it is a true source of inspiration to see a giant like the OCC step up and make a commitment to our environment. 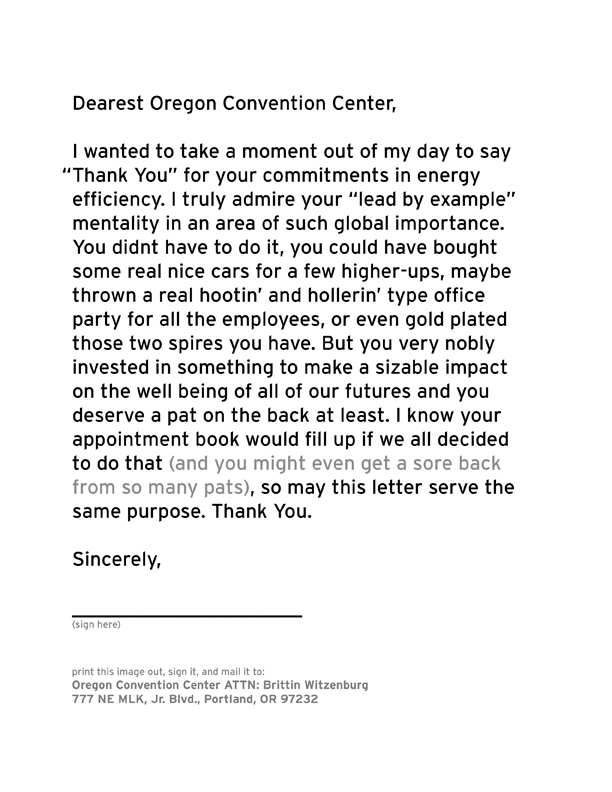 The energy they go through in a day is no small bill, so feel free to send them a thank you letter when you have a little free time. 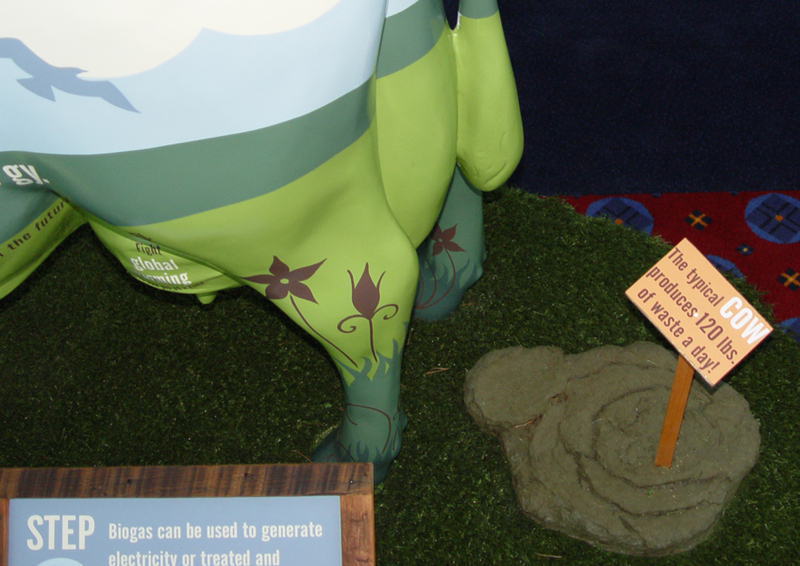 The exhibit was complete with a cow pie near the rear of the display (obviously) to explain how cow waste can be used to help stop climate change. 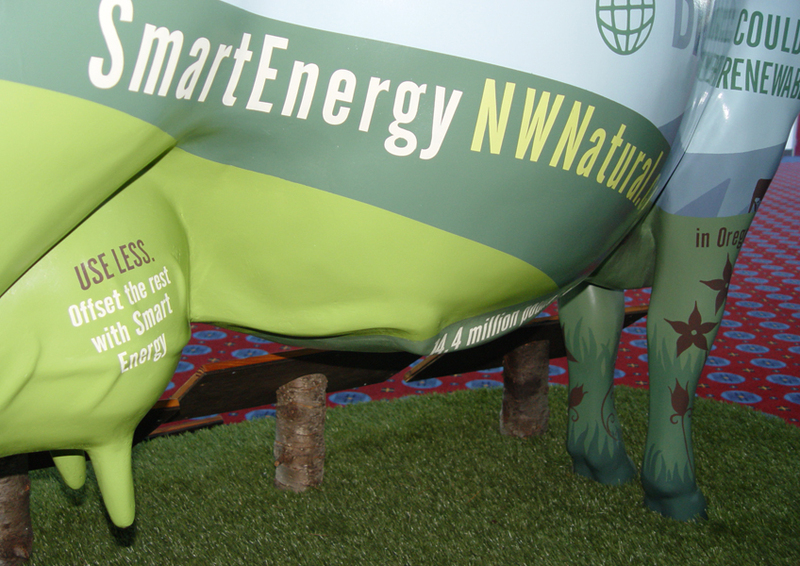 To learn more about Smart Energy, visit, smartenergynw.com.